After a break for a number of years, soccer returned to Coola during the school year of 2015/16. And what a return it has proved to be! Coola have won three Connaught titles since then (1st Year in 2016, U15 in 2018 and a second 1st year title in 2018). The Holy Grail of an All-Ireland title has to date eluded us but hopes are high that an All-Ireland title can be won in the near future. Many of our students have played with the Sligo/Leitrim underage teams and two of our current pupils (Johnny Kenny and Ciaran Jennings) are currently playing for the Sligo Rovers League of Ireland teams. Former student John Mahon has graduated to the Sligo Rovers senior team. 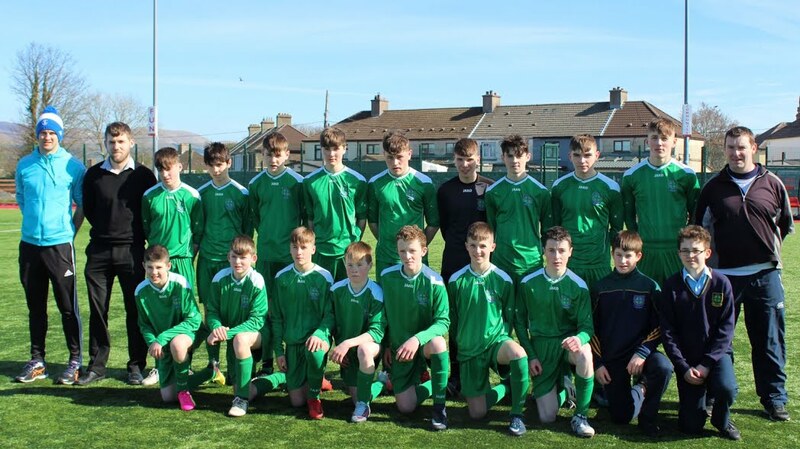 Congratulations to the Boys U-15 soccer team who defeated Manorhamilton in the final of the Connacht 'B' Championship on 20th March. After coming from behind the boys won 3-1 thanks to a hat-trick from centrehalf, Paul Mahon. 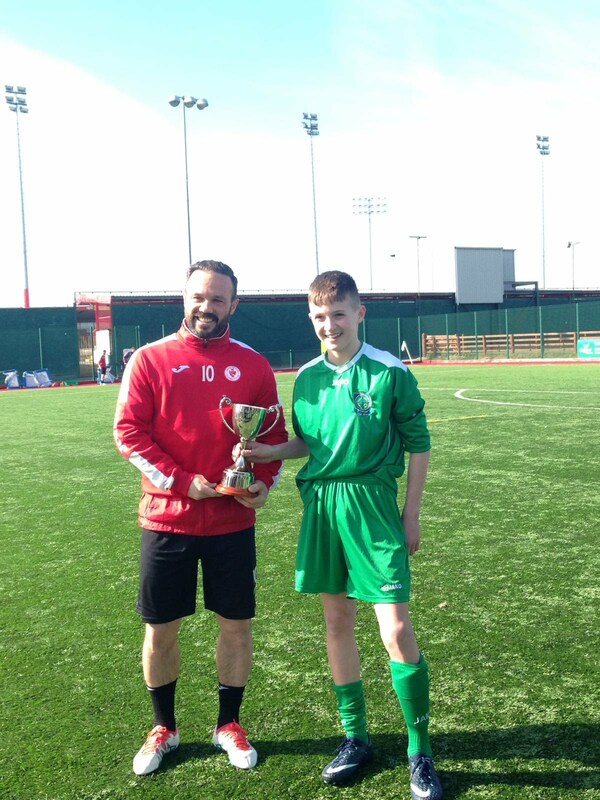 Pictured receiving the trophy from Sligo Rovers legend, Rafael Cretaro, is team captain Johnny Kenny. Best of luck boys in the All-Ireland semi final on Thursday.